This first expansion introduced cavalry figures, with double the base size of regular figures and unique rules regarding their use. The expansion also introduced the first figures using the ‘charge’ and ‘bound’ special abilities which allowed figures to move and attack in the same action. The 2nd Mage Knight expansion introduced the Shyft, a faction that allows the Mage Spawn (monster) faction to use formations and new figures with special abilities such as ‘venom’ and ‘ram’, which allows the infliction of automatic damage if one moved into contact with an opposing figure. Mage Knight Dungeons is a complete, stand alone game as opposed to being a mere expansion to the Mage Knight system. Players take on the role of heroes fighting monsters in a dungeon and collecting treasure. 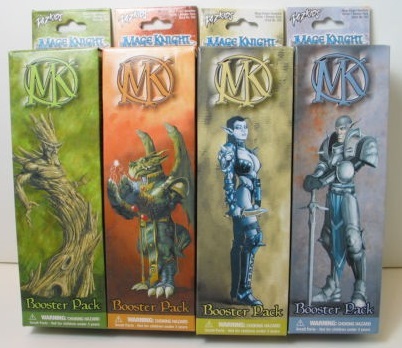 Dungeons starter sets included a map, as well as two heroes, six mage spawn (monsters), and two chests, while boosters contained half as many of each. Dungeon kits with new maps and terrain were also available as part of the release. Though many of the Dungeons rules differ from Mage Knight rules, all Mage Knight Dungeons figures are fully compatible with regular Mage Knight. 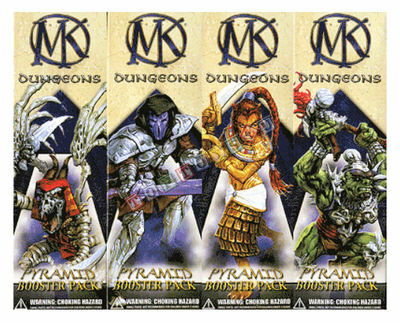 The Unlimited expansion was actually the re-release of a base (introductory) set. Unlimited took 160 figures from Rebellion and Lancers, some of which featured new sculpts. 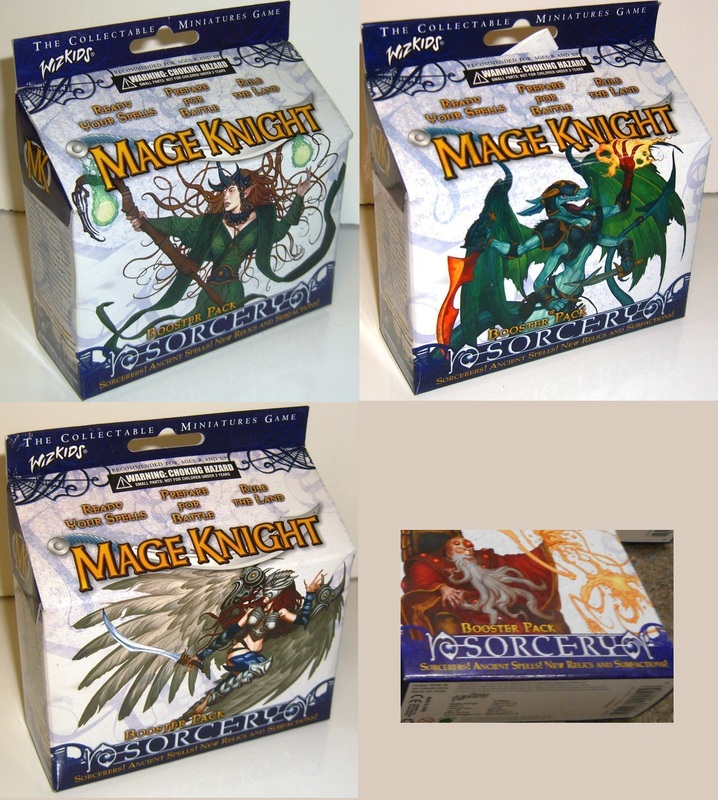 Customize your Mage Knight army with Mage Knight Painter’s Edition. This special release includes everything from the Unlimited set, but is supplied as plastic figures that are unpainted and unmounted. Sinister featured a new faction, the Solonavi, that featured powerful, high point cost figures with unique clear plastic sculpts. The expansion also featured ‘dual faction’ figures, figures that count as being members of two different factions. This set also featured the four ultra-rare Riders of the Apocalypse as chase figures, randomly inserted in boosters. 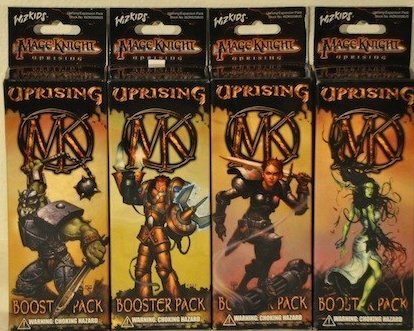 Uprising was a relatively small expansion, with 96 figures released. 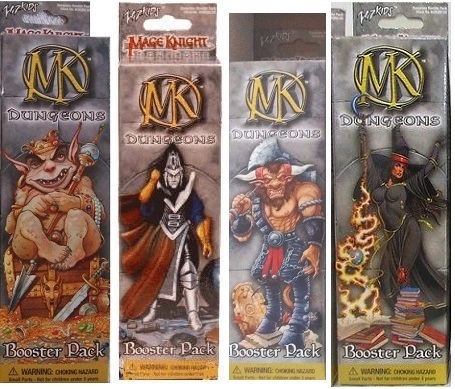 This expansion was another addition to the Mage Knight Dungeons game, with all figures again being compatible with standard Mage Knight rules. Mage Knight 2.0 represented a major revision to the Mage Knight ruleset. 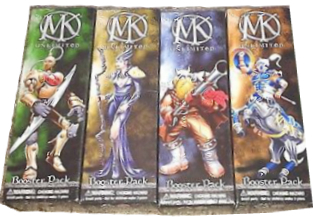 Figures from prior sets remained compatible with this ruleset. Figures from the prior sets were phased out from tournament play. 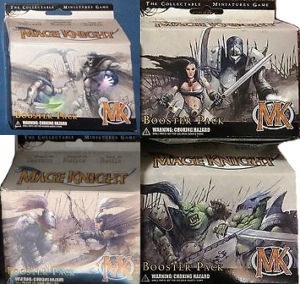 Figures released with Mage Knight 2.0 and later also included more features that enabled them to be more versatile and customizable on the battlefield, such as a wider variety of special abilities, subfactions giving units a more “permanent” ability, and proficiencies which gave warriors abilities based on their combat value types. One of the major enhancements was the introduction of Styrene Cards which influenced gameplay in various ways. Dark Riders introduces the “mount” and “rider” units. Certain warriors are removable from their bases, and can be placed in slots on the front of larger “mount” units to create a “cavalry” unit, and gain significant benefits from doing so. Certain relics are only equipable by riders. Dark Riders also introduces Faith and Catastrophe Domain cards, new Item cards, the Dark Riders and Wylden Host subfactions, and four ultra-rare “chase” figures: the Avatars of Apocalypse (whose subfaction the set is named after). Sorcery introduced a new rules mechanic for spellcasting and a new proficiency for blocking spells cast by opposing players. Associated with this new ruleset were two new types of styrene cards – Spellbooks and Spells. Sorcery also was the first 2.0 expansion to have non-unique warriors with Item slots, allowing for even greater versatility in army building. Although no new factions were introduced with Sorcery, 10 new subfactions were introduced to give even more variety to the types of armies players could build. Omens introduced two new rules mechanics: Adventuring Companies, which allowed an army to have a universal ability, and could be made cheaper by choosing specific characters; and Champions, figures with a removable base that allowed the player to choose from a set of 5 increasingly powerful combat dials, depending on the number of points the player wished to spend on it. 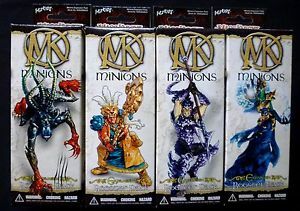 Also reintroduced with the Omens expansion was the Shyft faction, as well as the first 2.0 non-unique Mage Spawn figures. Associated with the release, though not part of the release itself, was the introduction of a convention-exclusive figure known as the Apocalypse Dragon. 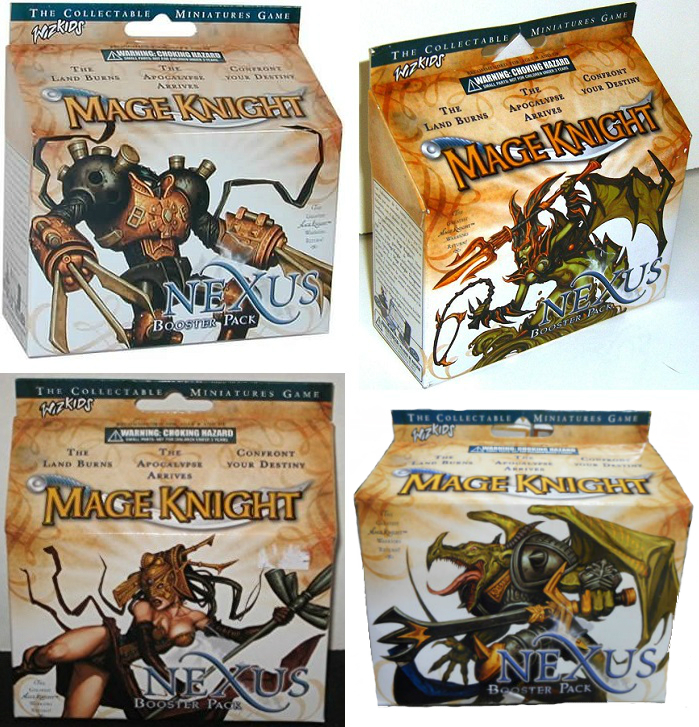 Nexus featured previously released figures from the Unlimited, Sinister, Minions, Uprising, Pyramid, and Dragon’s Gate sets. 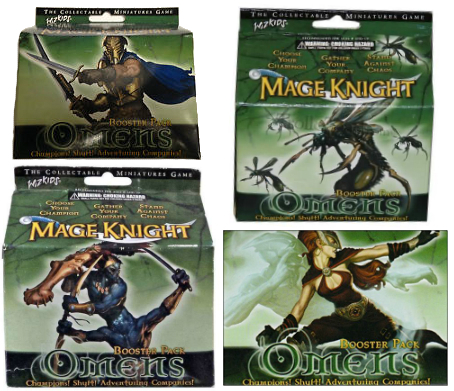 These figures use the same sculpts as the original figures, but are painted to 2.0 standards, and have combat dials and stats updated to reflect gameplay in the Mage Knight 2.0 ruleset. The set is unique in that unlike other sets, where “common” units had three levels of relative power (Weak, Standard, and Tough), Nexus had only Unique and Standard figures; no Weak or Tough versions were included in the set. 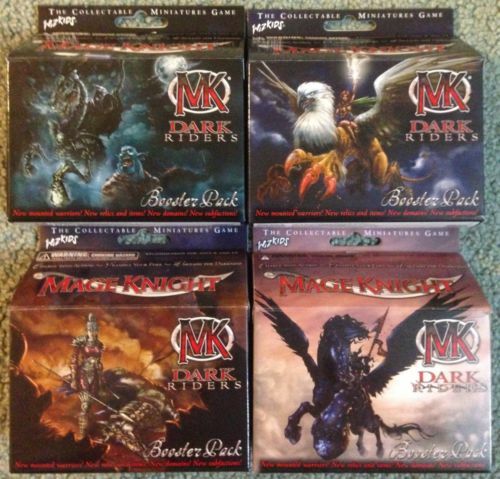 Presumably this was to give a greater variety of figure sculpts, while keeping the amount of distinct figures on par with other Mage Knight expansion sets. On June 30, 2005 Wizkids announced the Nexus expansion would be the last in the current series and that after November 2005 all tournament support would cease. 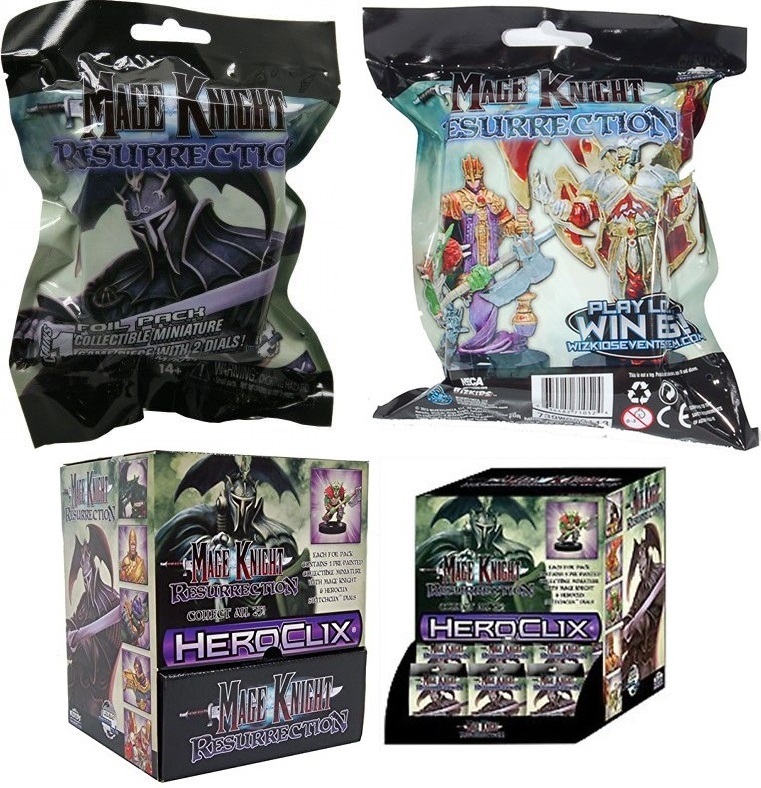 WizKids was acquired in 2009 by NECA, and announced a new expansion appropriately titled Resurrection, and utilizes WizKids’ SwitchClix dials. SwitchClix allows the player to remove the figure from one base and attach it to another, so the same figure can be used on two different types of dials. 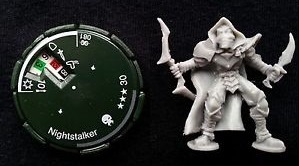 Each of the 25 miniatures in the line will include two dials: one for Mage Knight 2.0 rules, and one that’s compatible with the main HeroClix line. 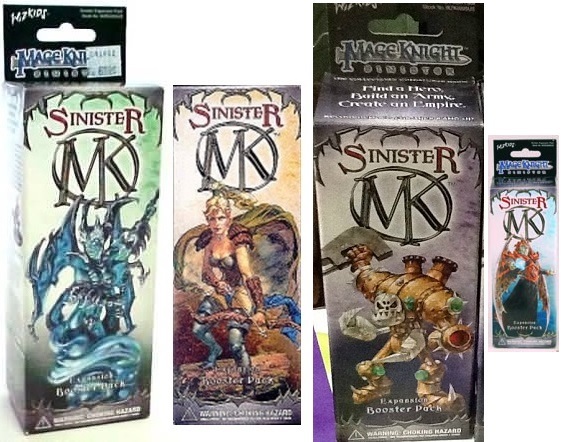 The figures are available through starter sets and booster packs.